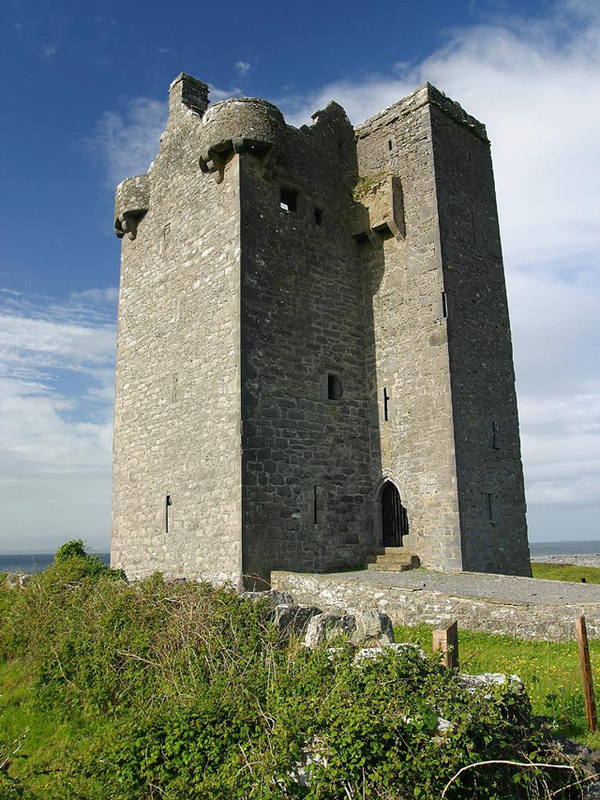 Notes: The 16th-century Gleninagh Castle, an L-shaped tower house, stands on a hillside looking out over Galway Bay. The tower measures 31.8 feet (9.7 m) by 27.6 feet (8.4 m). In 1839 it was thatched with straw. There are four stories. The single square turret contains a spiral stairway. The entrance doorway on the first floor of the turret is protected by a machicolation high above. There are round bartizans in three of the main tower's corners. A number of window openings in the end wall were later closed so they could be used for fireplaces.